index | Krussell Stables Inc. In Yourself and Make Your Dreams Come True! 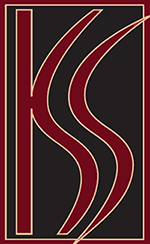 Krussell Stables is a premiere equestrian training center in Northern Illinois that specializes in the American Saddlebred Horse and Saddleseat riding lessons. 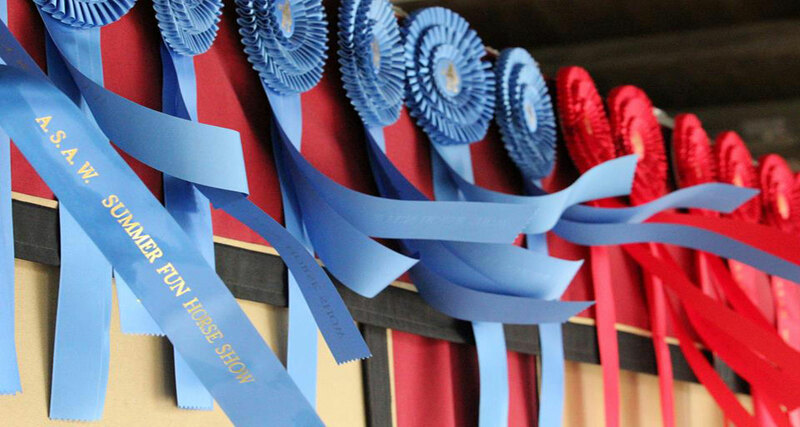 Krussell Stables was established in 2002, is located in Richmond, Illinois and is owned and operated by nationally recognized Horse Trainer, Ray Krussell. We're celebrating our 17th year anniversary! Learn how to ride English Saddleseat on safe and trustworthy horses with our highly trained and experienced instructors. Our fun and structured environment promotes learning and responsibility and ensures a positive experience for everyone from first time riders to serious competitors. 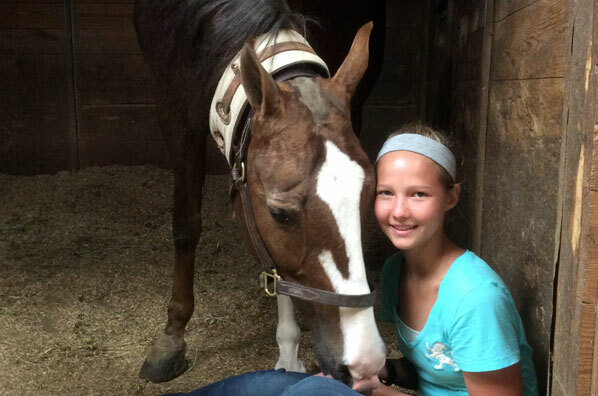 Krussell Stables offers a variety of camps throughout the year for riders of all ages and skill levels. 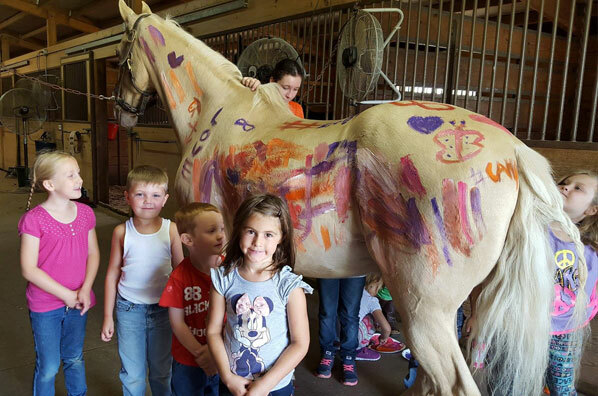 Our camps are a perfect combination of riding, grooming and educational horse activities and arts and crafts. 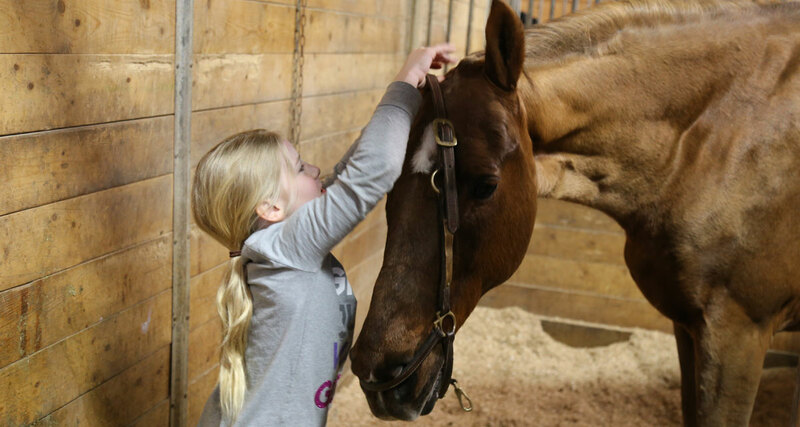 Each child is sure to make great new friends, measurably improve their riding skills and gain a deep respect and love for horses. 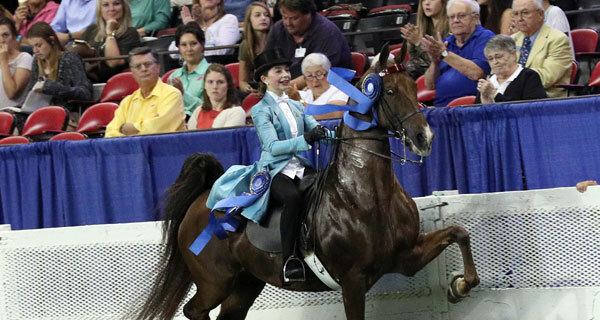 The American Saddlebred remains the ultimate show horse, athletic, high-stepping and elegant. An American Saddlebred is a spectacle of beauty and grace but is also an intense athletic competitor. 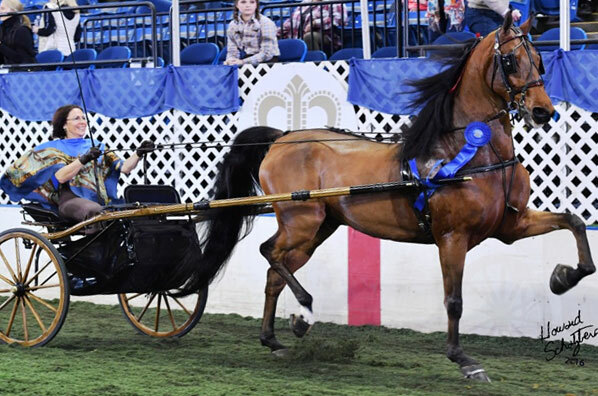 In addition to the animated style and brilliance in the show ring, the Saddlebred’s intelligence and amiable attitude have made them a willing partner and a favorite family companion for generations. The American Saddlebreds style, good looks and reliable disposition have made them a popular choice for children and adult riders.